Published January 12, 2015 at 4128 × 2322 in We’re PRO Providencia! 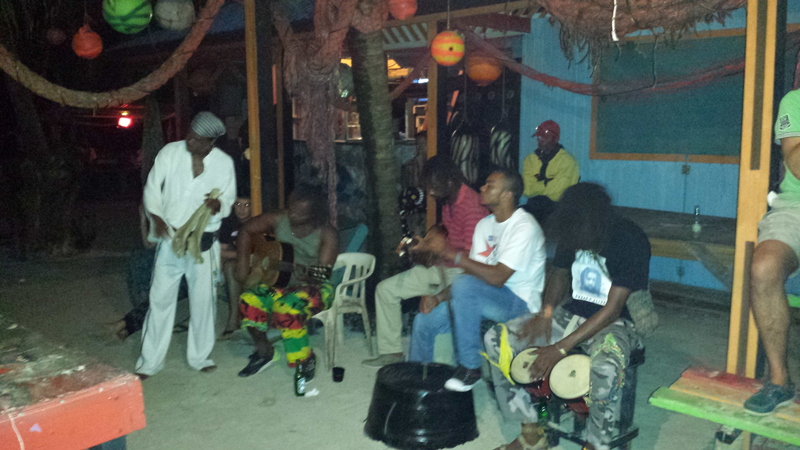 We be jammin’ at Roland’s bar on the beach. Roland is standing in white playing the skull.